Excellent low maintenance investment for first-time home buyers or investors. Beautiful bright corner studio plus den with a peek-a-boo water view. This unit features an open floor plan, laminate flooring, deluxe kitchen with new microwave, and in-suite laundry. Also included is q large out of suite storage locker plus one secure underground parking. 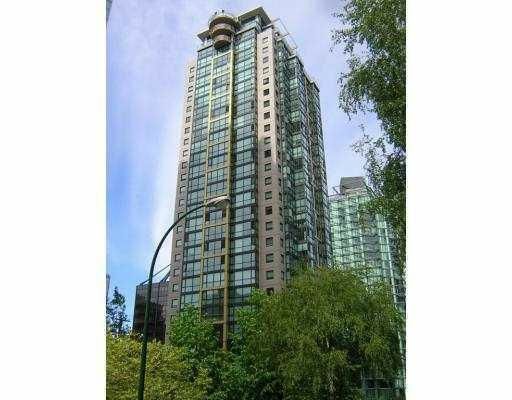 Located in the heart of downtown, close to Stanley Park, Robson St, shopping, and transit. Building has 24hr concierge/security, guest suites, full gym, sauna, billiard/party room, and conference rooms. Rentals OK. One cat or one dog permitted (dogs only allowed if suite is owner occupied). Excellent month to month tenant willing to stay. Rented for $1000 per month. View photos on line.